GE Aviation named ExecuJet Middle East as an authorized service center (ASC) for GE’s CF34-10E engines. ExecuJet Middle East has been a CF34-3 authorized service center since March 2012. With the expanded agreement announced today, ExecuJet Middle East will be authorized to perform line maintenance inspections, routine installed engine maintenance, including removal and replacement of engines and engine components as well as repair and overhaul services for CF34-10E and CF34-3 engines. The authorizations also allow ExecuJet to provide OnPointSM solutions and GE’s new engine warranty support. 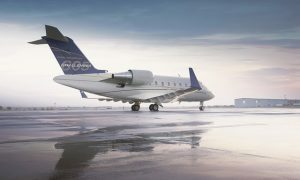 In December 2015, GE Aviation extended designation to each of ExecuJet’s other global repair facilities as authorized service centers for GE’s CF34-3 engines powering the Bombardier Challenger series. 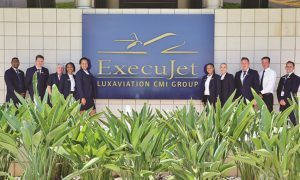 ExecuJet’s network of GE’s CF34-3 authorized service centers include: ExecuJet Haite Aviation Services China Co Ltd, ExecuJet Malaysia Sdc Bhd, ExecuJet Maintenance Australia Pty Ltd (Melbourne, Sydney, Perth) and ExecuJet Maintenance Pty Ltd (Johannesburg, Cape Town) ExecuJet Aviation Nigeria Ltd.
GE Aviation is expanding its service network for business and general aviation engines, growing from 10 ASCs in 2010 to 38 in 2016. This network enables customers to have access to OEM-quality service and support around the world. In October 2015, Pro Pilot magazine readers ranked GE Aviation #1 in the 2015 Turbine Powerplant Product Support Survey for the 1st time in the 23-year history of this annual operator survey, which asked turbine operators to rate engine manufacturers on a scale of 1 (poor) to 10 (excellent) in 7 categories: response to problems, spares availability, cost of parts, speed in AOG service, tech manuals, tech reps and service satisfaction. Additionally, in October 2016 AIN magazine readers ranked GE Aviation #1 in the 2016 Product Support Survey for Engines. This is the 1st time GE Aviation holds the #1 position in both industry surveys. 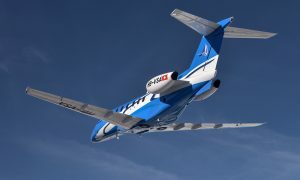 Since its service entry in 1983 on the Challenger 601 business jet, the CF34 has earned an industry-leading reputation as one of the cleanest, quietest and most fuel efficient engines in its class. These rugged, airliner-class powerplants set a new standard in corporate aviation for reliability and low maintenance costs. Across the CF34 family, GE has delivered more than 6,000 engines and continuously invests in product enhancements. Today, CF34 engines are in service with 200 operators in more than 70 countries.